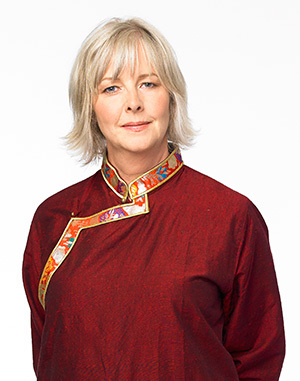 Cheryl Fraser Ph.D has been studying Buddha Dharma for 20 years and teaches in the Namgyal lineage tradition. She is experienced in both the Tibetan Vajrayana and the Theravada Vipassana traditions. Her root teachers are the Venerable Namgyal Rinpoche and Lama Mark Webber. She also studies with Phillip Moffit, a teacher at Spirit Rock Meditation Center. She has completed several three and four month silent meditation retreats and the two-year Spirit Rock dedicated practitioners program. She studies the Abhidamma, Tantra, and Mahamudra. As the resident teacher for Island Dharma, she provides meditation instruction, gives Dharma Taks, and leads retreats on Vancouver Island and beyond. Cheryl is a registered clinical psychologist in private practice who specializes in couples. She writes the "love and relationships" column for mindful magazine. In her writing and teaching she draws extensively from Western science and psychology, applying even the more complex teachings of Buddha Dharma and meditation to "real life." Cheryl teaches in an approachable, colourful, and humorous style. 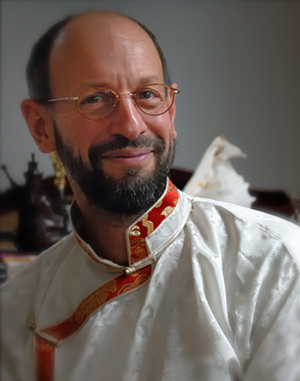 Lama Mark Webber has been studying and teaching Buddha Dharma (the teachings of Liberation through the traditions of Buddhism) for thirty-eight years. His universalist approach is classically founded in Buddhism and a number of meditative traditions, while completely integrated with contemporary life and the richness of modern Western culture. Through many vehicles—including Buddha Dharma and meditation, art and craft work, science and natural history, plus world travel—Lama Mark displays the wondrous unity, uniqueness, and intrinsic freedom of all life.